In his landmark book HOW WE DIE, Sherwin B. Nuland profoundly altered our perception of the end of life. 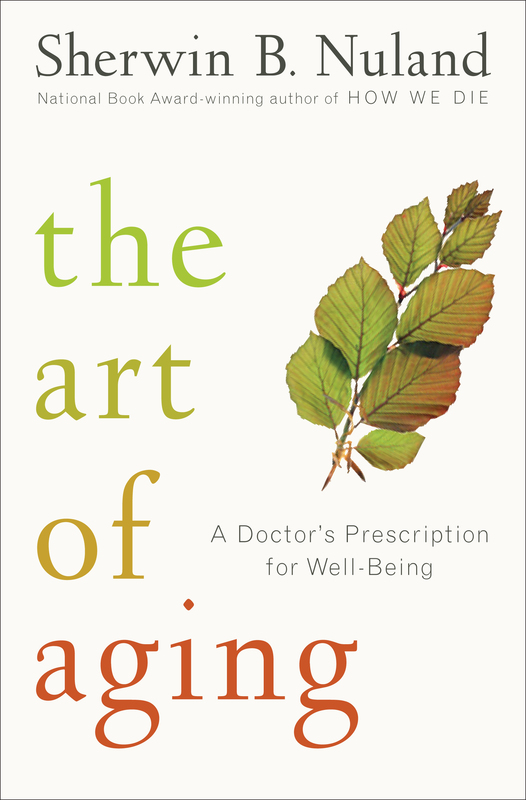 Now in THE ART OF AGING, Dr. Nuland steps back to explore the impact of aging on our minds and bodies, strivings and relationships. Melding a scientist's passion for truth with a humanist's understanding of the heart and soul, Nuland has written a wise, frank, and inspiring book about the ultimate stage of life's journey. The onset of aging can be so gradual that we are often surprised to find that one day it is fully upon us. The changes to the senses, appearance, reflexes, physical endurance, and sexual appetites are undeniable—and rarely welcome—and yet, as Nuland shows, getting older has its surprising blessings. Age concentrates not only the mind, but the body's energies, leading many to new sources of creativity, perception, and spiritual intensity. Growing old, Nuland teaches us, is not a disease but an art—and for those who practice it well, it can bring extraordinary rewards. "I'm taking the journey even while I describe it," writes Nuland, now in his mid-seventies and a veteran of nearly four decades of medical practice. Drawing on his own life and work, as well as the lives of friends, Nuland portrays the astonishing variability of the aging experience. Faith and inner strength, the deepening of personal relationships, the realization that career does not define identity, the acceptance that some goals will remain unaccomplished—these are among the secrets of those who age well. Nuland examines the latest research into extending life and the scientists who are pursuing it, but what compels him most is what happens to the mind and spirit as life reaches its culminating decades. Reflecting the wisdom of a long lifetime, THE ART OF AGING is a work of insight, candor, compassion, and companionship.